Even the imperceptible power of water can shape pure granite, given enough time. 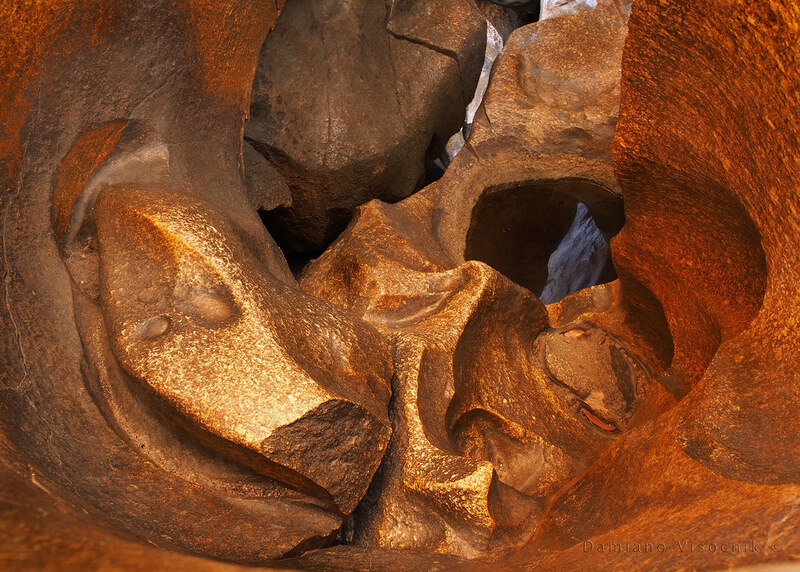 As it carved through thousands of years it changed its course and today it flows in a chamber much lower, leaving behind the leather-like smooth rock. Sunlight bounces around making it appear as pure gold.